WebinarJam Review – Is WebinarJam Legit? | Are These Products Legitimate? WebinarJam Review – Is WebinarJam Legit? Are you interested in finding a reliable webinar platform and wondering if WebinarJam is truly the solution that would work for you? WebinarJam is a flexible webinar hosting software used by many businesses and industries for online marketing. The webinar system is an innovative solution for live casting, webinar broadcasting and event streaming,. Supporting multiple languages and compatible with all operating systems, browsers, and mobile device platforms, WebinarJam platform lets users livestream broadcasts to thousands of attendees from anywhere. They will be able to directly stream through Youtube Live and Facebook Live, or broadcast to WebinarJam’s own private network. With WebinarJam, members can either go solo or invite co-presenters for their live stream events and highlight them one at a time through the aid of its dynamic and flexible layout controls. What Are Some Features Of WebinarJam? In WebinarJam, members and their co-presenters are given a variety of ways to enhance their presentations. For instance, similar to a newsroom, members can incorporate pre-recorded footages or segments into their livecast using its video engine. The video engine allows the uploading of videos into the software which they can playback while they run their webinars. This feature is very useful in introducing offers to attendees, enabling members to deliver pre-recorded videos of their offers. Another great way to run and enhance presentations through the software is by creating drawings and writing annotations directly on the screen. Thus, presenters can add markups to the screens or videos shared by their co-presenters. This way, they can highlight their key ideas. 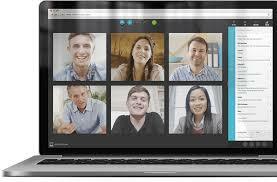 WebinarJam enables members to conduct interactive and engaging webinars and other live stream events. It introduces a feature which permits them to invite any of their webinar attendees to share their experiences and ideas with the rest of the audience. This feature is known as the Attendee Spotlight. Once an attendee is invited to join in the presentation, the attendee will be able to screen-share, speak and broadcast his or her webcam. As the webinar goes on, the other attendees can make comments and raise questions through WebinarJam’s built-in live chat. Users will also be able to highlight comments or questions from their audience, including answers delivered by the presenters. Furthermore, the software provides memberswith the ability to moderate attendees’ messages. Moderators can also ban trolls during the webinar. WebinarJam also allows users to introduce offers to attendees and have them accept such offers and seamlessly take action. Thus, as they run their webinars, anytime they can actively engage and transact with the webinars’ attendees who want to make a purchase, and at the same time, answer questions after they present their offers. Registering for webinars is made simple in WebinarJam. Those who want to attend the webinar have simply need to click the “Click To Register” link sent by users. After clicking the link, they will be automatically registered for the webinar, without having to waste their time filling out registration forms. Summing it up, WebinarJam permits users to automatically follow up with their webinar registrants and attendees based on the specific actions they perform. Using Boolean Logic, this powerful feature allows them define how they should follow up with registrants and attendees through the aid of if-then scenarios. As an example, they will be able to send a type of email if people register but did not attend the webinar, or send another type email if they attended the webinar but left early. In case attendees did not buy an offer, users can also send a specific type of message for them. The success of WebinarJam has given rise to many frauds who try to sell their own fake platforms in its name. This is a big issue as many customers have lost their money in joining from such fake sites. It is advised that customers should be really careful when they are purchasing and should do some research before they join from any website. To spot these, watch out and avoid sites that claim to write about WebinarJam, yet the write-up is completely garbage as they are created by software and spammed all over the internet. It is always better to avoid joining from any other site other than the official one. Therefore, it is highly advised that consumers do careful research, or only buy from the site from the official website here – http://WebinarJamOfficial.com/ (link opens in a new window). The official website that they have includes the legitimate platform. So why are we highly recommending WebinarJam? Because it’s the best web-based solution for setting up and managing your webinars and broadcasting them to your audiences on WebinarJam’s own streaming platform or using on Facebook Live or YouTube Live. It has the most advanced features in comparison to all the other webinar software solutions we have tried before. If this sounds like something you are interested in, then we highly recommend you to learn more about WebinarJam at the button link below! Previous PostPrevious TradeSpoon Reviews and Complaints – Is TradeSpoon Legit? Next PostNext CopyBet Review – Is CopyBet Legit?